This family-run hotel is located at the heart of the Scottish Highlands. 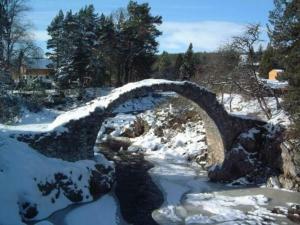 Breathtaking scenery and the Monadhliath and Cairngorm mountain ranges are nearby. The Edwardian Glen Hotel has en suite rooms with quality beds and bed linen. Good-value pub food is served, and the bar has featured in the CAMRA Good Beer Guide for several years. Golfers can enjoy the challenging courses at Newtonmore, Kingussie, Grantown-on-Spey and Boat of Garten. There are opportunities for walking, cycling, fishing and other activities. The popular TV series, 'Monarch of the Glen' was filmed a few miles away.